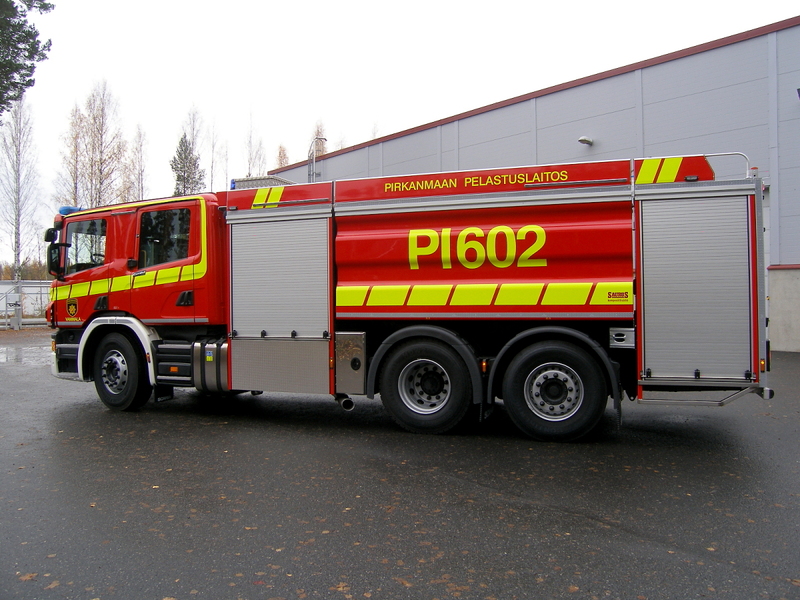 A new Saurus FSC80, combined fire engine / tanker, was delivered to Tampere Region Rescue Department. 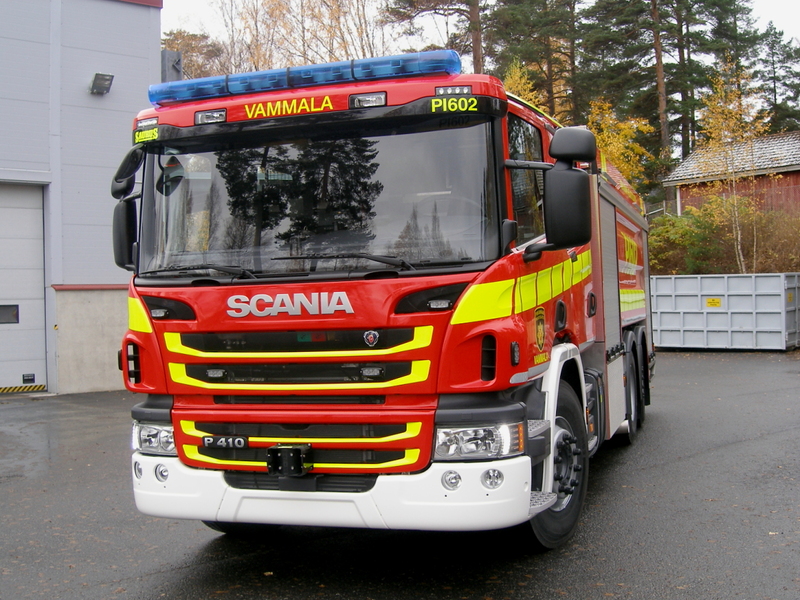 The vehicle will serve at Vammala fire station. 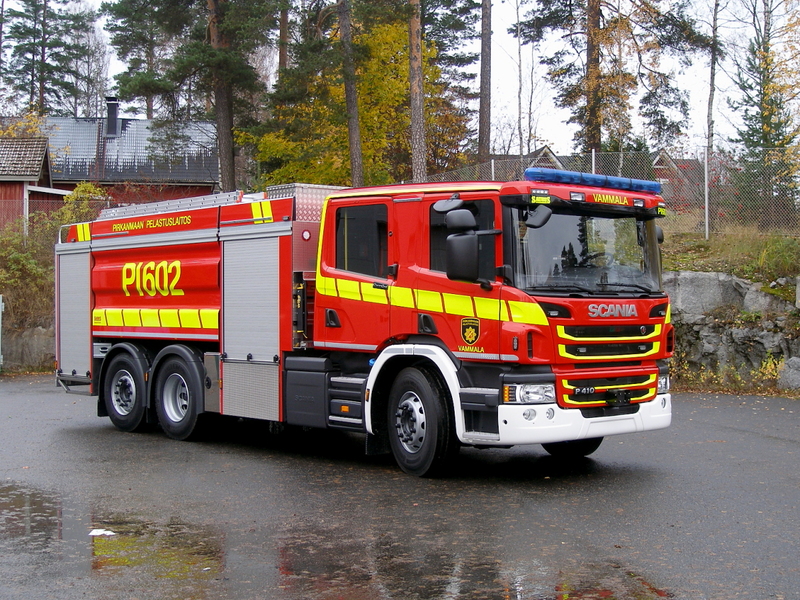 This Saurus FSC80 unit is built on Scania P410 6x2*4 chassis which is equipped with Opticruise-transmission. Water tank capacity of the vehicle is 8.000 litres and it's equipped with rear-mounted Esteri D-240 fire pump. In addition to that, this unit is equipped with a Protek 622-2 -turret and a movable Poweri 7/10H-S generator.